Throwing caution to the winds, I pushed cattle off the range. I had to work alone. My neighbors did not support me in this, my challenge to Haley, and defiance of law and order. No other stockmen were responsible for what I did. I turned the heat against myself by an open declaration of war." --Ann Bassett on going to war with Two-Bar Ranch owner, Ora Haley, in revenge for the murder of her fiance, Matt Rash. "Let's just say some men are harder to get rid of than others." --Josie Bassett on the suspected death by poisoning of her fifth and last husband. Likewise, in the story of the Bassett sisters, place and event combine to create a page in outlaw history. The place: Brown's Park. The event: conflict between the large, wealthy ranchers and the homesteaders. Brown's Park, or Brown's Hole as it originally was called, is an isolated mountain valley spanning Utah and Colorado. Difficult to penetrate by the law the area remained one of last pockets of lawlessness at the end of the 19th century. It was here that Herb Bassett, his wife Elizabeth, and their two children Samuel and Josie while on their way from their home in Arkansas to a new life in California, decided to settle rather than continue west. Their daughter Ann was the first white person born in the valley. The baby was put in the care of an Indian tribe when Elizabeth couldn't breastfeed her. Ann liked to claim she was part Indian. And, wild she was. When I first thought about doing this series on the women of the Wild Bunch, I saved the Bassett girls for last, because I wondered how wild two women who went to boarding schools out east could be? As it turns out on a scale of tame to wild, the Bassetts were near-feral. Their father sent them to boarding school in an attempt to control them. In school Ann seemed to have spent more time in prohibition than not. Both sisters preferred the cowboy life and returned to the family ranch. At this time cattle rustling between neighboring ranches was the norm. Herb had health problems and preferred to spend time in his library or playing piano, and he also acted as post master for the area. His wife, Elizabeth, stepped up to run the day to day activities of the ranch. The southern belle who rode sidesaddle was one tough customer. She had to be to protect their home. 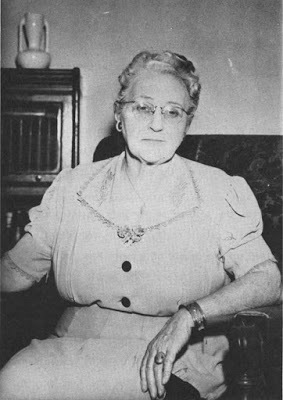 She was someone who not only knew where the bodies were buried, she likely had a hand in placing them there (...that time three Texans disappeared and the ranch acquired three new shotguns...). These were violent times, which she met by forming the Bassett Gang with her ranch hands Matt Rash, Isom Dart, and Jim McKnight. Elizabeth was a feminist and raised her daughters without the usual restrictions of gender. The girls were a match for any man in roping, shooting, and riding. When Elizabeth died suddenly in her thirties, her offspring well-able to take over the reins, which included cattle rustling. The larger ranchers set out to eliminate the troublesome smaller holdings. 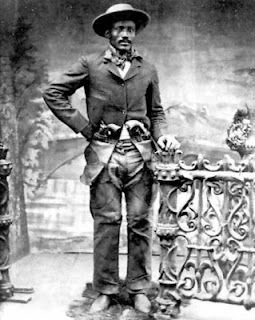 They enlisted the notorious Tom Horn to act for them. When I saw he was involved, I worried about everyone in the valley (Horn was later hung for the cold-blooded murder of a 14 year old boy. Bragging about it was what got him arrested). Horn moved around under an fake name, pinning notes to the cabins of the small sheep and cattle farmers, and invited them to leave--or else. Here is where the outlaws come into the picture. Besides having a natural hideout in the wild valley, the small ranchers welcomed the gangs and the protection as well as the money they spent on horses and provisions. In addition, the ranchers saw the outlaws plaguing the railroad and banks as kindred spirits as they themselves were David to the Goliath of the wealthy ranchers. Rumor had it that the Bassett family was left alone due to Kid Curry threatening anyone who went after them. The valley was so popular with gangs that the Bassett Ranch was often the final destination of letters left along the secret postal system dotting the outlaw trail. Messages would be left in designated spots like hollow tree stumps so passing outlaws could pick up the "mail" and deliver it to Brown's Park where everyone was likely to end up. The family's ranch was a favorite spot to cool their heels. 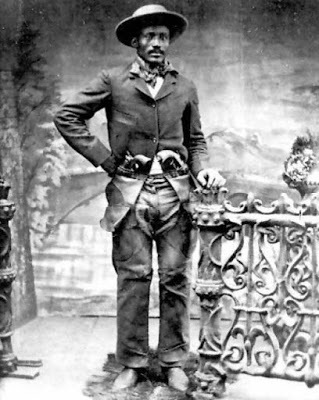 Butch Cassidy was said to enjoy Herb's library and the musical nights. It didn't hurt that the Bassetts had two beautiful daughters. Both girls were romantically involved with Butch Cassidy, though not at the same time. Ann began an on again, off again affair with Cassidy that spanned seven years, beginning when she was 15. She was one of only five women allowed into Robber' Roost where she stayed with Cassidy for a few months along with Elzy Lay and his girlfriend. But, the sisters didn't limit their attentions to the Wild Bunch. Ann became engaged to Matt Rash, who was the nephew of Davy Crockett. Sadly, before they could marry Tom Horn shot Rash in the back while he was eating his lunch in his cabin where he was found dead. 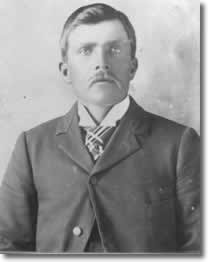 Not long after Isom Dart was shot and killed from a distance when he stepped out of his cabin. After the murders, Ann focused her energy on revenge. She spent the following years stealing Two-Bar cattle, running them off cliffs or drowning them when she couldn't, and sabotaging the other ranch's water supply. She was so successful she earned the nickname Queen Ann. 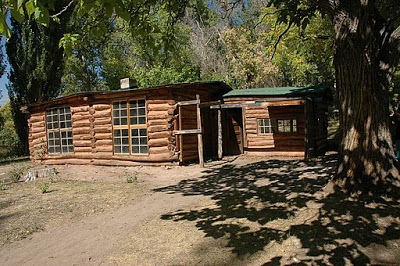 She bought her own cabin and became one of the frontier's first female ranch owners. 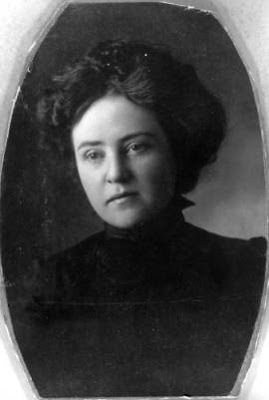 She was so determined to bring down the Two-Bar that she went so far as to steal away the foreman of the rival ranch, by marrying him to help him run her own ranch. Hyrum "Hi" Bernard was twenty years her senior. The marriage lasted six years and did little to deter Haley. After her divorce, Ann continued to run her ranch be herself. When a stock detective found butchered cattle belonging to the Two-Bar, Ann was arrested for rustling. The opera house was used to hold her trial to accommodate the crowd. One witness was killed and another disappeared, and Ann was acquitted to the delight of the residents who hated Haley. Ann was paraded through town in triumph. Meanwhile back at the ranch, Josie found herself pregnant by six foot tall, Scotsman Jim McKnight (It's a wonder this didn't happen more often) and they married. She had two sons by him before running him off with a frying pan (or shotgun, in some versions) when she couldn't tolerate his drinking. They say Josie, who stayed on her father's ranch, was the more domestic of the two sisters. Maybe. She sure liked getting married. She had five husbands, divorcing four and surviving one. Ann remarried in 1928 to cattleman Frank Willis. They moved to Utah where they went on to live a happy life. He doted on her and after she died of a heart attack at age 77 in 1956, unable to part with her, he carried around her ashes in his car until his death 1963. She wanted her ashes spread in Brown's Park and finally got her wish upon his death. When Josie's last husband died and traces of strychnine poison were found in his drinking cup, she was arrested for his murder. Josie was acquitted and swore off men. Donning bib overalls, she lived alone without electricity in a cabin that her son helped her build. 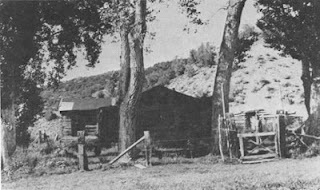 She enjoyed hunting and fishing and living off the land like a homesteader with a herd of cattle penned in a nearby box canyon. Continuing alone, she remained a presence in Brown's Park into the next decades. During the Great Depression she helped out less fortunate neighbors. During Prohibition she made bootleg whiskey. She was arrested in 1936 for cattle rustling, but played her I'm-just-a grandma card and was acquitted. In 1963 she fell and broke her hip which led to her death at 90 years old. There is a lot more to say about these fascinating women and Brown's Park, and I hope I whetted your appetite to read more about them. I couldn't fit all the stories into one blog post. So, what do you think? Mini series? Who would you like to see playing all of these characters? *Josie wasn't the only one who claimed to have seen Butch long after his supposed death in Bolivia. Several of his former girlfriends and acquaintances made the same claim. 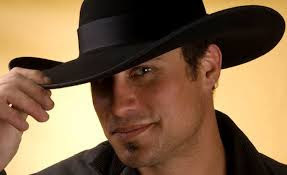 His own sister, Lulu Parker Betenson, said he visited his family and told her he'd just come from visiting Sundance and Etta in New Mexico (I threw that in for you romantics out there). Lulu claimed he died much later under an assumed name, and both his grave and the name he was buried under are Parker family secrets as they don't want him disturbed. 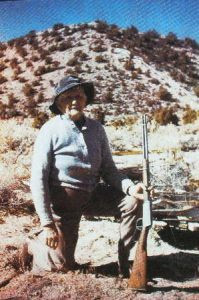 Ann Bassett also claimed to have paid a visit to Butch's grave in Utah decades after the Bolivian incident. It is interesting to note that Alan Pinkerton of the famed detective agency who'd been hot on Butch and Sundance's trail didn't believe Butch died in Bolivia and didn't close the case until 1920. No evidence has ever been found that Butch and Sundance were killed in that shootout. If such a shootout even occurred. The story of their death was told by a friend of Cassidy's who owed him a favor. Thank you for reading along with me on my series featuring these fascinating women: Etta Place, Laura Bullion, and the Bassett sisters whose tales are all so different from one another. For a bonus I'm throwing in photos shot from the interior of Butch and Sundance's Hole-in-the-Wall cabin. Yes! I stood inside their cabin!!! The cabin, along with other historic buildings from the old west, now stands in Old Trail Town, Cody, WY. I will sneak in my own vacation pics whenever I get a chance. Great Article. Now I have to go back and read 1 and 2. I love the quote from Josie. Guess he just wouldn't take a hint to leave. The women I covered in this series were all worth remembering. Each in their own way were fascinating, but the Bassett sisters left my head spinning! Thanks for stopping by, Darrell! Wow! Sherry, this is fascinating stuff and so involved, too. All the conspiracies and interrelationships. And yes, it would make a great miniseries, has all the makings! The whole story is larger than life! If I read this as fiction I'd probably be doubtful! Outlaws, hitmen, wild women, murders, etc. All Women we should know and remember along with the men!Strong,brave, and smart ladies. The topic is endlessly fascinating to me.There are so many ways of looking at these people and the time they lived in. Thanks, Julie! I'm mentally casting the series. I'll let you know whom we can get! Something we can work on together, Andi! Thanks for stopping by. I love this. Whenever we want to write out-of-the-box women of the west, we have only to look to these wild and tenacious ladies. Thanks, Kristy! Reading about them did inspire my current WIP. The heroine has a lot of the Bassett girls in her (wink). They were larger than life.